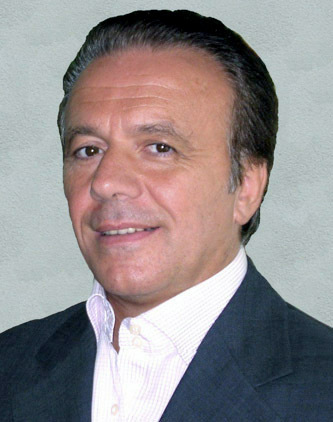 Speaker 2015 - TULLIO SIMONCINI, M.D. TULLIO SIMONCINI, M.D. received his Degree in 1976 from La Sapienza University, Rome Italy, majoring in Surgery. He followed this with specialized studies in Diabetes and Metabolic Illnesses at the Sacro Cuore University, also in Rome, in 1983. In 1996 Dr. Simoncini received his Ph.D. in Philosophy from La Sapienza University. From 2000 to 2004 he devoted his focus to Oncology, also at La Sapienza University. Throughout his medical career, Dr. Simoncini pursued his personal theories regarding cancer. His first terminal patient, who went into remission in 1981, is still alive and well today. Dr. Simoncini believes cancer is caused by a fungus, namely Candida Albicans. He has been developing techniques aimed at eradicating the fungus utilizing sodium bicarbonate. Because of his unorthodox approach, Dr. Simoncini has been disbarred from the Italian Medical Order, and at the same time he has endured a massive, concerted attack by the Italian media, promoted by the Italian Medical Establishment. Despite these obstacles, Dr. Simoncini has managed to advance his theories at medical conferences in Italy and abroad. Among the venues where he has presented are the International Oncology Convention, Treviso, Italy (2000); Convention on Holistic Medicine in Oncology, Udine, Italy (2006); International Anti-Aging Convention, Paris, France (2008) and the Convention on Natural Medicine, Phoenix, Arizona (2008). Dr. Simoncini is the author of Cancer Is A Fungus, a book in which he details both his theory and different protocols for different tumor types. He may be contacted in Rome, Italy by his website www.cancerisafungus.com and e-mail t.simoncini@alice.it. Dr. Simoncini will speak on Cancer Is A Fungus – The Sodium Bicarbonate Treatment.